Recently, Outdoor Life published an article on surveillance in Maine and New York for a newly recognized disease of wild turkeys – lymphoproliferative disease. Further information on this condition may be found in an article in the always informative SCWDS Briefs published by the Southeastern Cooperative Wildlife Disease Study. 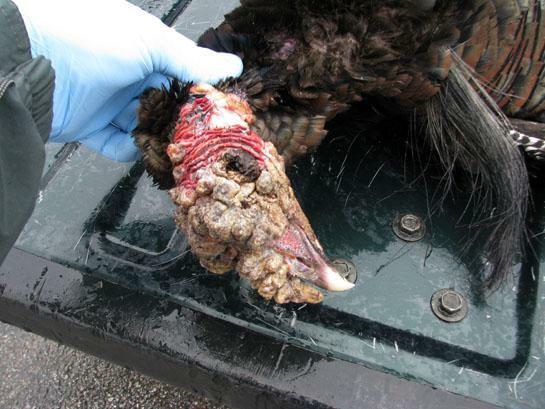 This condition has not been diagnosed in wild turkeys in Canada but heightened surveillance for this, and other conditions, in wild turkeys is merited. Wild turkeys live very much at the interface with agriculture, making it important that we continue to track diseases in this species.